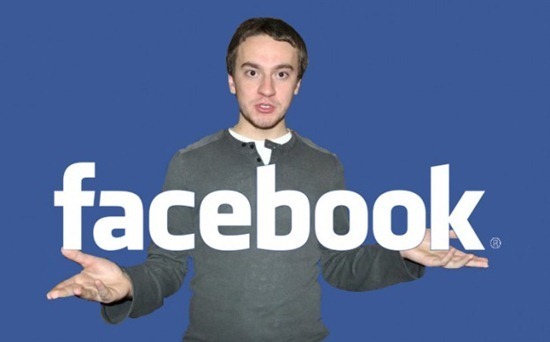 George Hotz, also known as GeoHot, has begun working at Facebook, the company has confirmed. Hotz, known for being the first one to unlock the original iPhone and famous ever since for other iPhone hacks and a PlayStation 3 jailbreak, will now be using his coding expertise to further boost Facebook’s mobile empire. George Hotz is reported to have begun working at Facebook on May 9th, although the company has refused to disclose what role Hotz will play at the company, for whatever reason. Many believed he’ll be leading the company’s mobile efforts, since he’s been a mobile developer throughout his career after all. Could Facebook be working on a secret project of some kind? The news first broke yesterday when Craig Fox, organizer of the iOS hacking-related MyGreatFest conference, first dropped the bombshell in a live video conference. The news was then confirmed by @p0sixninja, who was also speaking at the live stream yesterday. It’s unclear why Facebook took over a month to confirm George’s hiring, or how secretive it is being about his hiring, but maybe that’s just the confirmation we need that something big is in the works? I believe that Hotz makes sense for Facebook, a company that has never had an edge as far as mobile development is concerned. The company’s Android App, for example, lags way behind the iOS version, and no efforts on porting an App to the iPad have been seen for far, after Facebook CEO Mark Zuckerberg’s comments that “iPad isn’t mobile”. Although rumors of an iPad version have emerged months later, it might be too little too late for Facebook, unless it steps up the game rather fast. Facebook needs some direction regarding the development of mobile Apps and also digging out security loopholes, and Hotz is the perfect man for the job. George Hotz first made it to the headlines when he first unlocked the original iPhone, way back in 2007. Since then, he has remained a very prominent iPhone developer and active member of the jailbreak community. A few months ago, he managed to successfully jailbreak the PlayStation 3, and also managed to get in trouble for it, with a lawsuit from Sony. The suit was later dropped, under the condition that he’d never again crack the company’s code. Until we see what might come out of his hiring, let’s take a trip down memory lane, shall we? O comments on "Facebook Confirms Hiring iPhone/PS3 Jailbreak Hacker GeoHot"